Novel of spying, sabotage, and assassination during WWII in Nazi-controlled Berlin, Germany. National Award Winner! A beautiful woman, trained as a geisha, is a vicious serial killer. Accompanied by her accomplished martial arts brother, the killers are tracked by detectives and the FBI, but continually manage to slip through their fingers. CIA agents turn rogue and deal in drugs and murder. A NY Times reporter is caught up in the web of deception, and is desperate to figure out why he is marked for murder. In a major attempt to stop the peace process, Middle Eastern terrorists attack Camp David while the president and his family are there. The terrorist objective: capture or kill the president’s daughter, who just manages to escape with the help of a U.S. Marine Lieutenant. But is the Lieutenant helping the terrorists or helping the president’s daughter? They are on the run with the terrorists closing in. Five extraordinary stories that take you on an unforgettable ride. Creative and imaginative, they realistically explore the hidden corners of the human condition. Amazing short stories with a twist; each will delight, surprise, amuse, or horrify you, but all will entertain you. Twenty short stories about the horror of war as well as the tenderness of love that can happen during wartime. Some stories have a bit of humor, others touch on the nastiness of war and how we react to it, but all touch on the horrific conditions inherent in a state of war. Mort is a retired US Air Force Officer who served as a Rescue and Survival technician teaching escape, evasion and survival techniques to air crew members; he survived a tour in Vietnam and barely survived two tours in the Pentagon as a computer systems action officer. Serving in the Pentagon ("Disneyland East" to insiders) was no picnic-- he says he should have received combat pay. Mort earned a Bachelor of Science degree in Business Administration, a Master of Arts in Teaching, and a Doctorate in Education. He’s been an adjunct professor of computer sciences for several universities in the Washington, DC area, including George Washington University, University of Maryland, Marymount University, as well as several community colleges. The high point of Mort’s life was, for 10 years, living with his wife Susan aboard "Irish Gold," a motor yacht berthed on the Potomac River. After several years of feeling waterlogged, Susan declared, "It’s time to move to dry land." 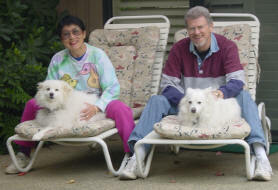 So, they packed up their life preservers and moved across the river to Alexandria, Virginia, with their American Eskimo dogs, Yuki and Kori. 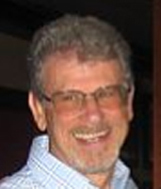 After retiring from the private sector, Mort became an active writer, a volunteer with the Alexandria Police Department, the Animal Welfare League of Alexandria, and was very involved with the Northern Virginia chapter of the Association of Information Technology Professionals. 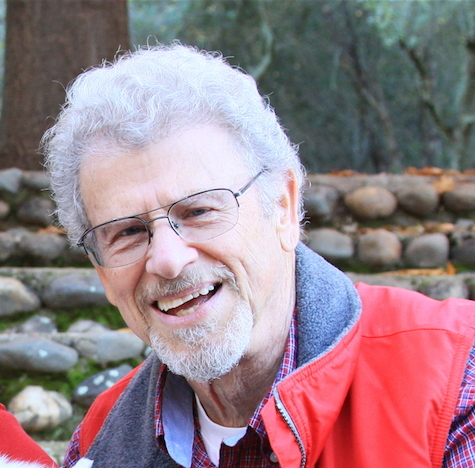 Mort now resides in Gold River, California where he continues to write. His other hobbies include painting, genealogy, traveling and magic. 2016 Anthology — From A Writer’s Finger To A Butterfly’s Wing, Short Story, "The Guardian Angel"
2015 Anthology — Young Adventurers: Heroes, Explorers & Swashbucklers, Short Story "Coming Of Age"
2014 Anthology — Thinking Through Our Fingers, Short Story "Aftermath"
2013 Anthology — The Moving finger Writes, Short Story "Wednesday"
2012 Selected for print — Science Thrillers (SciWithFi) Writing Contest, Short Story "Radiation Day"
2012 Anthology — The Dog With The Old Soul, Short Story "Hammer"
2011 Honorable Mention — Writers-Editors Network International Writing Competition ­ Short Story "The Marker"
2010 Fifth Place Winner — 79th Annual Writer’s Digest Writing Competition "Click"
2009 Third Place Winner — Writers-Editors Network International Writing Competition ­ Short Story "Gone Fishing"
2009 Honorable Mention — Writers-Editors Network International Writing Competition­ Short Story "A Gift From Trinh"
2008 Anthology — Every Family Has a Story, Short Story "Yippee!" 2008 Honorable Mention — 77th Annual Writer’s Digest Writing Competition "A Gift From Trinh"
2005 Honorable Mention — 74th Annual Writer’s Digest Writing Competition "If I Had A Hammer"
2005 Honorable mention — 74th Annual Writer’s Digest Writing Competition "In the Beginning..."
2005 Novel — Third-place winner in Xerox nationwide Aspiring Authors Contest "CodeName: Snake"
2005 Quarterfinalist — L. Ron Hubbard’s Writers of the Future Contest — 2d Quarter. Short Story "I, Prisoner"
2005 Quarterfinalist — L. Ron Hubbard’s Writers of the Future Contest — 2d Quarter. Short Story "Coming of Age"
CHICAGO, Sept. 13, 2005 — The contest, designed to drive awareness of digital print-on-demand as a smart alternative to traditional book publishing, received more than 250 entries from across the country. The three finalist novels were judged by Maureen Corrigan, National Public Radio's book critic, along with Emily Chenoweth, fiction editor for Publishers Weekly, based on eight criteria: creativity of plot, character development, innovative use of language, distinctiveness of voice, control of tone, consistency of theme, grammar and acceptability for mainstream audience. Codename Snake: The Evil We Kill by Morton Rumberg of Gold River, Calif., a thriller about an assassin operating in Nazi Germany, won runner-up and is available to purchase here as an ebook, printed book, or may be ordered through any bookstore.